It's not surprising to feel a kind of lightness and simplicity in those who have reached high positions through serious and hard work, effort and immeasurable energy invested, accompanied by education and a clear goal. Such interviews confirm over and over again why certain people hold certain positions, having silently worked to trace their path to success. Her road to the top, it seems, was facilitated by her Sarajevo-bred simplicity, resourcefulness and ability to adapt, but also by a cordial spirit accompanied by a determined look in her eyes. 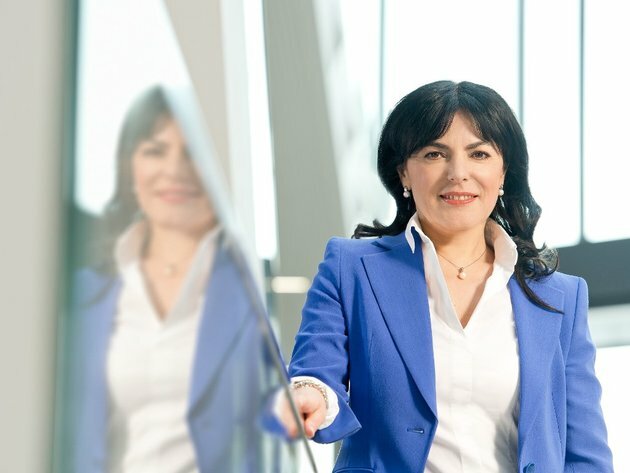 Since January 2018, Ilijana Vavan has been the Managing Director for Europe at the Russian company Kaspersky Lab, one of the leading cybersecurity companies in the world. More than 400 million people use their antivirus program worldwide, as well as 270,000 corporate clients. Last year, this global company celebrated its 20th anniversary. Last week, Ilijana Vavan arrived to Sarajevo, her birthplace, in order to support a professional basketball camp sponsored by Kaspersky Lab. We discussed her 20-year-long career, the sport which marked one part of her life, the challenges inherent to her current position and why she looks up to Bill Gates. – To be honest, I don't see my success as anything special, but as a normal thing. However, in conversation with other people, I get the impression that I've done something special, although I personally see it as a natural development. At least that's what it seems like to me – Ilijana Vavan begins her interview with eKapija. Her career in the IT sector is impressive. 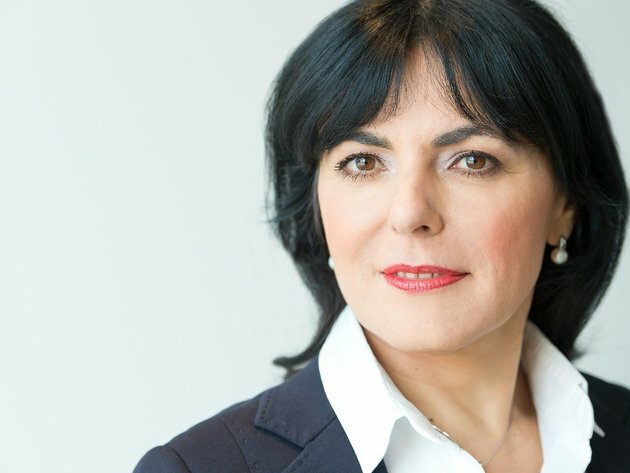 Before this position, she went through a range of leading positions in companies such as Oracle, Kotron, Saba Software, Juniper Networks and Microsoft, where she was in charge of the sales strategy in Central and Eastern Europe. Now she's gone back to the Russian company, where she was the Managing Director for Western Europe from 2010 through 2012. She got her master's degree in computer sciences at the University of Twente in the Netherlands. – I moved from Sarajevo to the Netherlands in April 1992, as I had made numerous friends in the country thanks to my ice-skating career and it was natural for me to go there, as speed skating is a national sport in the Netherlands. Several years before, I was supposed to go to the Netherlands to continue my skating career and my studies there, but, unfortunately, my coach passed away and I stayed in Sarajevo. The war then drove me away to where I previously didn't go on my own accord. The studies she had started in Sarajevo continued in the Netherlands. She obtained her master's degree, learned the language, gained permanent residence and was ready to build her career in the IT sector. First it was programming, and then she reached the managerial positions in time. It was Microsoft that brought her to Germany, where she now lives with her family. – My current position carries a lot of responsibility. Within Kaspersky, I hold the most responsible position when it comes to various markets, as Europe contributes 40% to the company's total revenues. The position is very complex, as it covers nine regions. We have offices in Denmark, the Netherlands, Great Britain, France, Israel, Germany, Austria, Switzerland... We also cover the majority of the north African countries, as well as the Balkans. Where does love of technology come from? – I grew up playing with toy trains and cars and I was interested in computers. My first “computer” was a small device my father had bought me, on which I used to practice solving mathematical equations. I've always been inclined toward technology. I liked to accompany my father to his garage where he would repair cars. In fact, I've always been interested in typically male technologies. As soon as I started school, I knew my job would be related to computers in some capacity and never considered any other profession afterwards. Ilijana Vavan was also a speed skater at the time when Sarajevo was considered a sports town of a special kind. She says that her records in the junior category have not yet been broken anywhere in the former Yugoslavia, and she also set some records in the senior category as well. She was a member of the Yugoslav national team and won a state tournament. When she moved to the Netherlands, she stopped skating actively, as she had to find a way to survive, according to her own words. – Sports have had a lot of influence on me, as they require plenty of sacrifice in order to achieve results, a lot of discipline and perseverance, that is, everything crucial to the forming of one's character. I'm not a person who gives up easily – when I set a goal, I head towards it. That's one of the things one learns in sports, especially in individual sports, where results depend on oneself exclusively. She says that sports have also made her more resilient, teaching her how to pick herself up after she loses a race. – In business, of course, there are ups and downs and the most important thing to learn is how to motivate oneself in moments of crisis – how to rise up and make results. That's why sports are a good foundation for further personal development. Why are even bad decisions, in fact, good ones? She makes decisions relatively easily and believes that each decision made is better than not making any, “as that means stagnation”. – When a decision is made, it is either a right one or a wrong one. In case it's a wrong decision, you soon realize this and learn something about yourself and the situation. I'm a very quick decision-maker both privately and professionally. I first gather all the necessary information and I also like to hear what my associates think. All this provides a foundation for my decisions. Her parents were liberal and have not tried to influence hers or her sister's career choices. Her sister is an architect and is artistically inclined, whereas Ilijana, according to her own words, is a technology type. She believes that, due to their misconceptions, parents often try to influence their children's career decisions, which can have a negative impact on them. – My mother wanted me to be a medical doctor, but that's only something she said once and that was that. She never tried to influence me in terms of what I would study. I take the same approach with my son, whose ambitions are towards movies, music, entertainment and concerts, unlike me and my husband, who also deals with computers. Since my son was five, he has been saying he'll become a movie director. He has already started making movies and I respect his choice. According to her, personal character is 50% of success, and the rest is talent, work, perseverance, and a little luck, as one sometimes needs to be in the right place at the right time. – Still, circumstances are not decisive, they can just push you forward a bit. People from the Balkans are very intelligent and insightful due to the historical circumstances and the fact that great world powers have clashed in these areas for centuries. We have what Americans call street smarts, the sort of intelligence that is related to improvisation and resourcefulness. That's our advantage compared to Western people. She believes that, when people from the Balkans find themselves in a functioning system where everything's in its place, they fare far better than others thanks to the combination of formal and informal education. On top of that, we've been taught to be careful. – We've learned to recognize where the danger's coming from and how to best approach risky situations, as we see them in advance. I also believe that I see potential danger far ahead of everyone else. Female intuition, which I'm often not aware of, probably also has something to do with it. The flexibility we have as a people is another asset. – I've discussed this with a friend, who once showed me a poster of Goran Bregovic in France, toasting with a glass of champagne in one hand and rakija in the other. He thereby sends the message that he can fit in both cultures. She is inspired by Bill Gates and she says that she was lucky to start working in Microsoft during his time as the CEO. – It's admirable that he doesn't want to leave the money he's earned to someone else, but that he instead wants to spend it while he's alive by investing in the development of the vaccine against AIDS or helping to eradicate certain diseases in Africa. From this perspective, what would she say to her twenty-year-old self? – To have more self-confidence. I can't say that I lacked confidence back then, but I didn't believe in myself to the extent I do now. I have a feeling that I've missed many opportunities by stepping aside, believing that it is not okay to assert oneself, which is why those less capable took certain positions. In the long term, however, everything falls into place. While we were talking about the goals she wants to achieve as the Managing Director for Europe, she said that she often missed small talk over a cup of coffee in Sarajevo, with “her people”. In the upcoming period, Kaspersky Lab will be working on the creation of autoimmune systems. The innovation lies in the switching “from defense to immunity”. – I'd like to achieve an even greater profit and double the business if I can. As for my position, it's no longer so important to me. What's important for me is to compete with myself and to stimulate the people working around me to go for even better results together. I like to invest energy in people and see their progress. That's both a challenge and a goal – to increase the human capital and to have those capable of achieving more to do so.